Taulman 3D 645 1.75mm nylon is a flexible, durable co-polymer specifically designed for 3D printers. It has excellent adhesion to the printing plate and increased resistance to humidity. 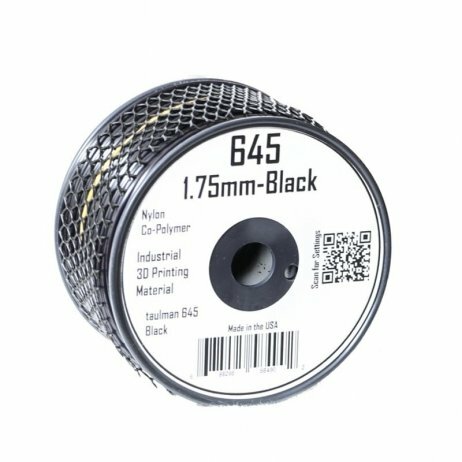 This spool contains 450g of Taulman 3D 645 1.75mm nylon filament. 35,90 € Tax incl. 29,92 € Tax excl. 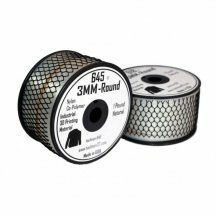 Imported from the USA, 645 nylon is 20% less flexible than 618 but is much more durable. It is opaque and easy to print with a heating plate. This 645 nylon is widely used in the professional medical community. Taulman products are particularly popular in hospitals and clinics for prostheses and bones (replacement, repair), and a range of information is available in English on the manufacturer's website. Important: nylon does not stick to glass or aluminium plates, so it is advisable to use blue masking tape (see accessories).